So now that summertime has essentially come to an end, it’s time to start thinking about fall travel! Fall brings cooler weather, often more festivals and activities, as well as cheaper travel prices. 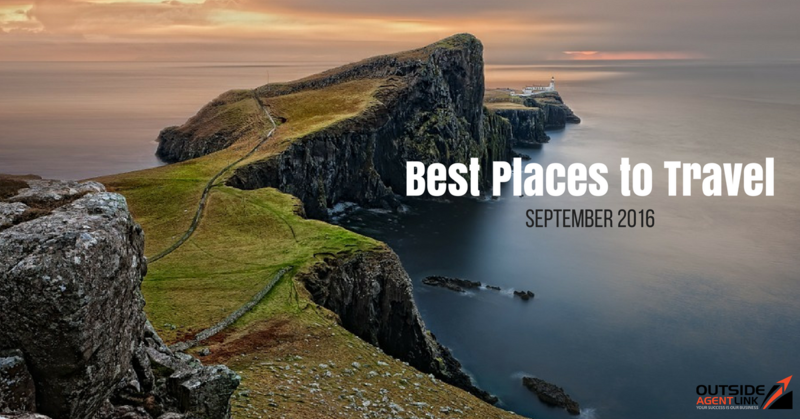 Although Scotland is arguably wonderful to visit at any point during the year, September is great because you’ll be able to enjoy its fall temperatures, which average about 61 degrees Fahrenheit, and longer days. We recommend renting a car and taking a drive along the North Coast 500, which will help you to experience the country’s beautiful landscapes and greenery. The best time to visit Mykonos (known as the Ibiza of Greece) is in September, where the crowds have thinned out a bit, without diminishing its party atmosphere. You can take advantage of cheaper prices, while also still enjoying warm temperatures and water warm enough to swim in. A perpetual favorite of Caribbean travelers, Cozumel is fun to visit in September because that’s when they celebrate their independence day! Just be sure to follow along with weather reports, as hurricanes are common in the Caribbean in September. Calling all winos! Visit Budapest in September and attend the Budapest International Wine Festival, a popular festival celebrating wine from around the world. You’ll also enjoy mild temperatures in low 70’s, and low chances of precipitation!